As part of our mission, St. Luke Orthodox Mission Church believes supporting today's vibrant and dedicated religious scholars will ensure strong faith-based communities tomorrow. We are proud to support the future of religious leaders through the Seminarian Scholarship which will provide financial assistance to seminarians seeking formal Orthodox theological studies. Read the Seminarian Scholarship Guidelines. Proof of enrollment may be requested at any time. How do/will you strive to fulfill the mission of St. Luke to connect people of all various backgrounds with authentic Orthodox Christian worship, teaching and preaching, in order to connect people together in genuine Christian love and compassion for the consistent growth of the parish? 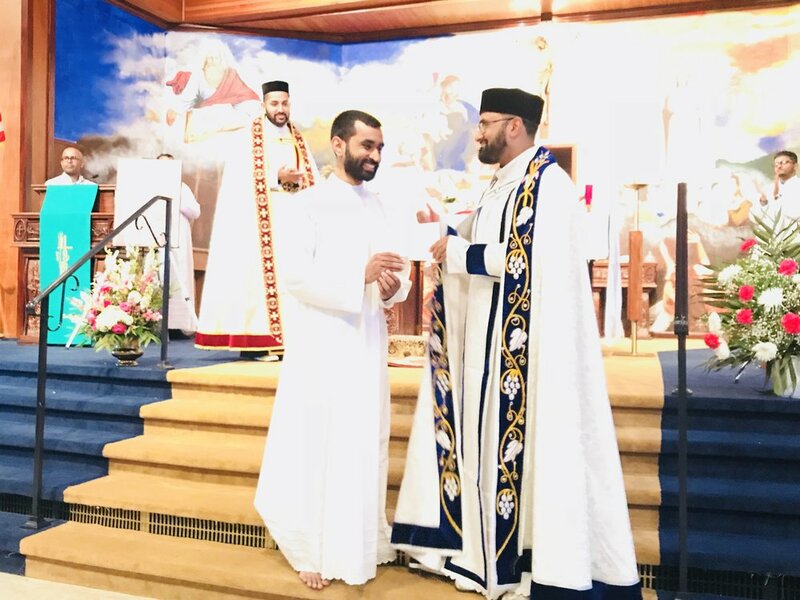 By signing this application, you are certifying that: 1) You are a member of the Malankara Orthodox Church, either directly or via household membership. 2) You have been accepted to or attending a Seminary approved by the Northeast American Diocesan Metropolitan. 3) You are not a member or directly related to a member of the Selection Committee, unless that member recuses themselves from the selection process. Thank you! Your application will be reviewed by the Seminarian Scholarship Committee. If you are selected, someone will be in contact with you. The 2018 Seminarian Scholarship was awarded to Mr. Predeep Chacko. Mr. Chacko will be attending St. Tikhon's Orthodox Theological Seminary in the Fall of 2018. View the 2018 Award Letter.